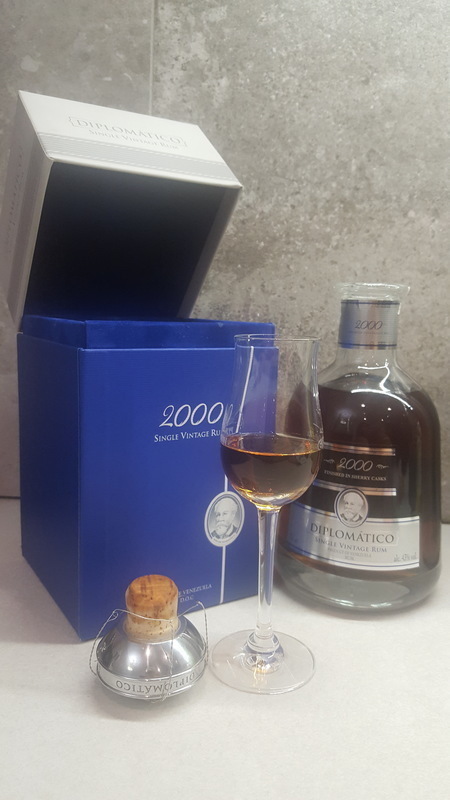 Have you found an online vendor selling Diplomatico 2000 Single Vintage? Diplomatico 2000 Single Vintage is a limited edition rum created from one of the best sugar cane harvests Venezuela has experienced to date. It was created by Master Blender Tito Cordero and is the result of a careful selection of reserves, laid to age in the year 2000. Ordered 2 bottles from NY as not available in Pennsylvania. This is a fine rum, taste of black cherry and caramel. So smooth with no burn. $98 per bottle but worth every penny. I have to do a blind tasting with El Dorado 21 as that had been my all time favorite. When I came across a bottle of this rum several months ago there was no internal argument on whether or not I should purchase it. And it was the last bottle on the shelf. Reading about the making of this rum is fascinating in of itself. Apparently the sugar cane crops in Venezuela that year were the best ever and made for some of the best even cane "honey" which they used in the distilling process. The rum was then aged in oak barrels for 12 years before finished in sherry casks. The color is a nice rich mahogany. The aroma is outstanding. I seem to get hints of cinnamon in it. Swirling in the glass leaves a film of the rum that slowly...and I mean SLOWLY slides down the sides of the snifter. The flavor is quite excellent. Admittedly this rum is sugared a bit the sweetness isn't overpowering. There seems to be a bit of butteriness to it with vanilla and butterscotch undertones. I also get a little flavor akin to raisins. There is a rather intense burn to it. It is listed at 43% ABV (86 proof) but that burn seems to be such experienced with higher proof rums. It's not rough at all, just a tad intense. When the burn slowly fades there is a nice drier finish highlighted by vanilla and cinnamon. My opinions are based on drinking this straight and it is definitely an excellent sipping rum but I recommend using a single, small ice cube (emphasis on small) with the rum and allowing the cube to melt just a little bit. This will release even more flavors and mellows the burn a bit. Albeit pricey at over $100 a bottle this is a rum that should be reserved for special occasions. And this is a bottle that gets high marks on the coolness factor. A thick-bottom heavy bottle with a natural cork and hefty metal topper. On the sad day your bottle of this rum becomes empty, save the bottle, take off the label and reuse it as a decanter. Virkelig lækker rom, meget duft og smag, med en tilpas sødme, men også kompleksitet med en fed olieagtig struktur. This is seriously good rum and perfect for my tastes. Not quite as sweet as reserva exclusiva, which is perfect. I went out and bought another bottle, and I have only done that with one other whisky I liked. Wow...Do I need to say anymore. Did a rum tasting a month or so ago with around 18 rums from all over the world. And there were some very good rums in the lineup. The whole Diplomatico, Appleton Estate 21, Zacapa XO, Flor De Cana 18, Mount Gay XO, Ron Matusalem 15. This one absolutely killed the competition hands down and was the consensus favourite choice by everyone. Appleton Estate 21 was a close second, just didn't have the complexity there. Everything you want in a rum. Sensational bottle. Beautiful dark rum. The nose was sensational. Initial flavour was gorgeous and you straight off tell this was a well aged/blended complex rum. It was thick and creamy, and the texture of this when it entered your mouth was first class. I rate this even over the more expensive Ambassador. At $150 a bottle, well worth the price and I will be getting some more. Must be drunk staight up. No need to water down. Very little alcohol burn it was such a smooth drink. Almost a crimimal offense to mix this. Sugar: 20 to 24 gpl. A very complex rum that is well balanced. Be sure to let it breathe before drinking. It gets better after a few minutes in the glass. It is not as sweet as the Reserva Exclusiva, but it has a much bolder taste. You can taste the oak as well as the sherry cask finish. Hints of caramel, baking spices, vanilla, and a touch of cherry. Very aromatic in the glass and the reddish color reflects the sherry cask finishing. Bold in the mouth, very smooth in your throat and a super long after burn. This rum is a must have in your collection. This is one of the best Rums I ever tasted!! I'm just leaving room at the top in case a mind-blowing rum comes along ... This one is nearly perfect. Diplomatico is one of my favorite labels, and this is my favorite of their offerings. This bottle is now gone, looking forward to trying the 2002. So far I've only tried a small amount (due to the $), but is no definitely at the top of my collection. Heavy taste of figs with sherry and sugar with a touch of heaven !!!!! This is a smooth nice buttery rum. 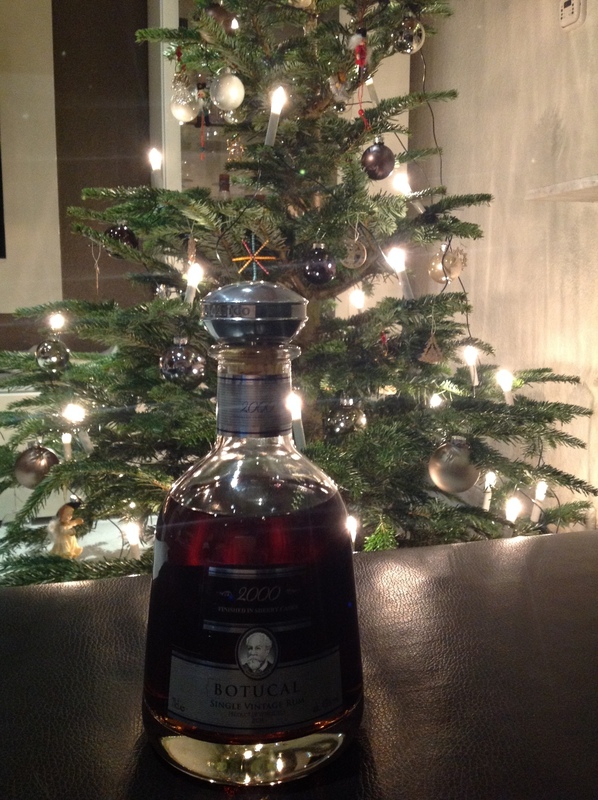 The finish it leaves on the tongue is in a different place to that of Ron Zacapa XO. This lashese the middle of your tongue with no burn. It is great too as it is not as sweet as the younger Diplomatico Reserva Exclusiva and balanced much better. This is very good. A fair priced ultra premium rum. The best Venezuelan I have tasted. Even better than the more expensive Diplomatico Ambassador. How can you make something great better? I mean. Reserva Exclusiva is amazing, then you have the Ambassador which is the grandfather of perfection in rums. I mean if Reserva Exclusiva is the son, and the ambassador is the grandfather than this would have to be the father of rums. I personally drink is on a hard days work. It's still has that sweet and smooth taste I like, but unlike the other two I mention it has a kick and crisp that you may need for a rough day with work or with life in general. My wife always knows when I pick up the silver top give me about 20min some peace and quite with my rum and jazz. I love the bottle and the price. Great rum for a gift retirement or a seasoned man's (or woman's) birthday. A perfect blend of rums from the year 2000, aged in American white oak barrels and finished in sherry casks, resulting in a vintage rum presented in a limited edition at 43%. This rum has the perfect nose and a balanced rum flavour. It is the rum that all my good friends will be able to try. I am blessed to now have three bottles. Krásne, luxusné balenie toho pravého prémiového rumu, žiadne lacné papierové kartóniky, toto je poriadny kus obalu. Hrubá kartónová krabica, ktorá sa dohora vyklápa a vo vnútri vystlaná modrým semišom. Fľaša váži kilo aj prázdna. Takto to vyzerá s top rumom kedy výrobca vie, že výnimočný produkt si zaslúži výnimočné balenie. Tento rum by mal chutiť hádam každému, kto ho skúšal, pretože nie je ani príliš taký, ani onaký. Je to jeden z najvyváženejších a najkomplexnejších rumov aké existujú. Ani moc sladký, ani moc suchý. Cítiť ovocné tóny ako hrozienka ďalej kakao, vanilku aj dubový súdok. Chuť dokonale kopíruje aromatické vnemy. Je trochu silnejší, čo cítiť aj poznať na jazyku. V žiadnom prípade mu to ale neškodí. Toto je ideálny sipper na výnimočné príležitosti. Dobre sa ku nemu hodí Cohiba Siglo VI...odskúšané=) Akurát je škoda, že za chvíľu sa už nebude dať nikde kúpiť. This is an awesome, great sweet rum. The nose has butter, caramel, tropic fruits, and more! Fantastic deep flavors, great depth, balanced sweetness. It hits the spot. I even prefer this over the Diplomatico Ambassador. One of the best rums I have ever tastes. Little bit sweet, a lot of flavours, no after burn. Very nice. Zeer speciale rum van Diplomatico in luxe kist ! Een exclsuieve selectie van zeer fijne rums tot 12 jaar oud recht uit het vat. Eind de jaren 80’ was Don Juancho Nieto Melendez en zijn brandende passie voor het verkennen van de bronnen en processen zorgde eruit uiteindelijk voor zijn eigen verantwoordelijkheid voor de vele verleidelijke smaken van de traditionele dranken waaronder de rum. Hij was vooral geïnteresseerd in ambachtelijke productiemethoden die ondanks relatief constant gehouden, waren kunnen opleveren uiteenlopende duidelijk verschillende resultaten . Hij was gefascineerd door de subtiele complexiteit van de vele omgevingsfactoren die het rum -proces beïnvloeden , zoals het weer en de vochtigheid van de tropen. Een vakman in hart en nieren , Don Juancho was onvermoeibaar en zocht naar manieren om zijn eigen product te verfijnen door bemonstering van een uitputtende reeks van exotische likeuren en rum . In feite zijn zijn indrukwekkende verzameling drank heel beroemd geworden. Don Juancho bestudeerde aandachtig de productie- methoden die in Jamaica , die op dat tijdstip de wereldstandaard was voor de vervaardiging en de waardering van rum. This rum was a gift for my 40th birthday. One of the best rums I have ever tasted.